Kids from Connecticut Teach All of US!!!!!! One of the most fascinating aspects of what I do is the people I meet. People never cease to amaze me in how they act, what they say, and what they do. So many choose to sit back and play the sidelines and many live by; “don’t do nothing”. It’s these people who constantly humble me as I travel this journey. It’s easy from the sidelines. One can judge, comment, be loud, be quiet, and for the most part have little to do with the game itself. In many cases the loudest are neither the majority nor the players…….they are spectators. People IN the game are too focused on moving the diabetes dial in a substantial manner to live by their own-self-imposed-importance. Diabetes is just too big for any of us to stay on the sideline and frankly, I have little patience for people who would rather shake the cage than get in and fight the beast. Recently I learned that the age of ‘the player’ matters little. A player is just that, a player. I was in Connecticut this week. Driving to this state, a state that taught this nation what ‘real’ pain is over the past few months, I kept thinking to myself, what would these kids have in mind? I was traveling to a grammar school (just to be clear, it was not in the Sandy Hook School system) to be part of a diabetes educational presentation which would be followed-up with a fund-raising component. This component just fascinated me to no end and the only thing that was more fascinating than this particular event, was the young people who presented it. When diabetes becomes the new normal, your life becomes completely mixed up; turned upside down; and out-of-the-norm. As the kids in the area told their stories (I will not mention their names nor the school district; welcome to the world we live in these days) in front of hundreds of elementary school-age children, they explained about diabetes and shared what it was like to live with diabetes. The siblings of kids with diabetes also took part in this event and shared what it was like to be a brother to someone who had diabetes. How it changed their household. The kids shared that they were limited by nothing. As the showed their insulin pumps the informed the students that they could do what they wanted as long as they ‘balanced’ their lives with diabetes management. The kids sitting down were riveted and enjoyed the presentation of their peers and how they explained their lives with diabetes. And afterwards they explained the fund-raising component. They could donate whatever their family wanted to give, the amount didn’t matter. But the event surely did. (I just loved this idea). Each child, to understand a little better about how mixed-up one becomes when first diagnosed, was to wear clothes that were completely mixed up. The idea was that for the one day they would wear clothing all mixed up knowing that shortly thereafter they would come to school again with their clothes straightened out. The presentation taught the kids that although a life of diabetes becomes mixed up at the start, a life in order can reign. Just FABULOUS! Many parents and children volunteered to organize this event and we surely thank them, the teachers, and the administration of the participating school. This idea was from kids, about kids, for kids, and to kids…………….but a whole bunch of us adults learned a ton. Is your Child a Daily dHero? Wow the things they do. The things they put up with every day. Whether they have diabetes or they do not have diabetes; the fact that diabetes is in our households makes them live each and every day in a way that no one will understand but us; their parents. The new norm as they say. One of my Diabetesdad articles I wrote a while back was called “life with an asterisk”. It is exactly the phrase that our children live with every day. They are more resilient than we, they are more afraid than we, but still they go on. And some go on VERY STRONGLY! So I have decided that my Sunday blogs will be dedicated to highlighting a child up to grade 12 that has diabetes in their household (siblings also; absolutely). Sunday should be a family day and my Daily dHero will start next week. I will only mention the first name of the child and the state they live in just to keep it very safe. And I will highlight why they are a Daily dHero. Our kids are special. Tell me why your child should be considered by replying to this post; none of the replies will be made public. Highlight what they do that is special at home, at school, or in their community. Anything that they do despite/in spite/with their diabetes. Make sure you include what state you live in, and when diabetes entered your household. Remember–siblings will be highlighted also. If I chose your child to be highlighted, I will email you for a picture or I will take it from your FB page. As we say at Children with Diabetes; kids with diabetes are still just kids. But they are special, so let me know. 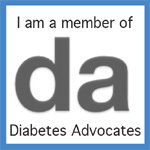 I am a Diabetesdad.